Christmas is approaching, and you're facing the usual question: What should I buy him (or her)? Well, we've got some ideas... What about something the whole family will enjoy? How about some Spanish Christmas Gifts? We've prepared an small selection of Spanish Christmas Gifts that we believe you will like... Let's take a look! La Tienda's selection of more than 700 premium products provides you unlimited opportunities for give gifts of distinction to nearly everyone on your list -- from artisanal cheese and confections to hand-painted ceramics, and famed Castile soap. In Christmas Treats and Sweets, you will find all the traditional Spanish holiday treats such as almond/honey turrón, mantecados, polvorones, and marzipan figures, hand made chocolate. In For the Chef, we have the special ingredients and tools to produce traditional Spanish dishes or contemporary interpretations. In Gifts for Her we've gathered products that may have special appeal to the women in your life, such as hand-painted ceramics from Toledo, classic Castile soaps, and exquisite Spanish bath products. In Gifts for Him, you might consider something from our manly collection of whole hams with the hoof on, ham carving stands, knives, cutlery, glass porron pitchers, goat skin botas or free standing paella burners. In For the Hostess, we have a number of small niceties like hand dipped Rabitos chocolates; artisan gift trays of honey, tea and fruit preserves; or a distinctive vintage wine. Our select Gift Baskets of fine Spanish foods and treats, especially our Tapas Kits and Paella kits of many sizes, are perfect for a special 'Thank You', a corporate gift, or to introduce someone you love to the pleasures of Spanish food. To help you shop by price range, we've gathered Gifts Under $50 and Gifts Under $100. And, a La Tienda gift card allows the recipient to make his or her own selection. 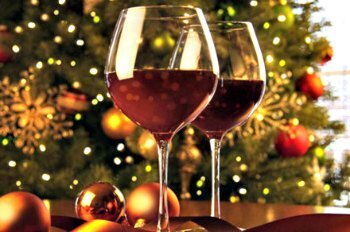 Christmas in Spain: Christmas in Spain is quite a treat - the action gears up in mid-December and doesn't stop until January 6. There is the giant multi-billion euro lottery, splendid nativity scenes, lots of great food and one of the biggest New Year's Eve celebrations you are likely to see. As is the case throughout most of the Western world, Christmas first starts to rear its ugly head earlier and earlier each year. Traditional sweets such as turron and marzipan appeared in supermarkets in late October. However, apart from this, little takes place until December.